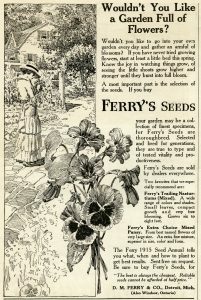 This vintage magazine advertisement for Ferry’s Seeds claims that “If you buy Ferry’s Seeds your garden may be a collection of finest specimens” for the seeds were thoroughbred, “true to type and of tested vitality and productiveness”. 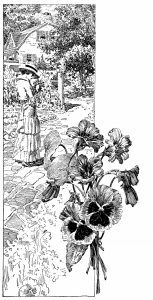 The ad includes a lovely illustration of a Victorian lady, on a cobblestone path in her garden, carrying a small bouquet of flowers. 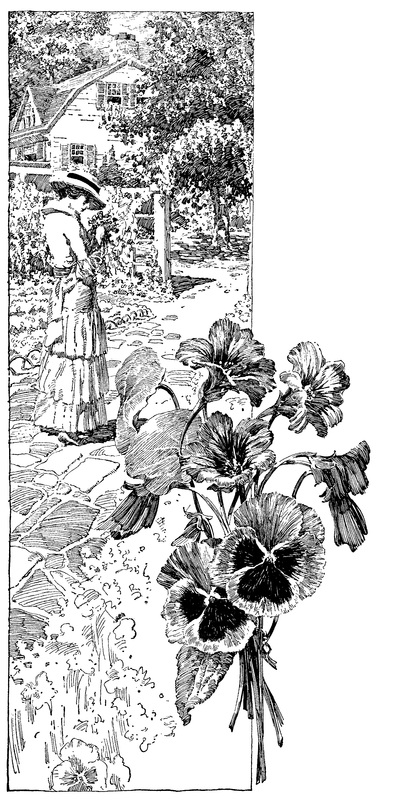 There is a cluster of flowers in the foreground. Here is a black and white clip art version of the illustration from the ad. Click on images to enlarge. 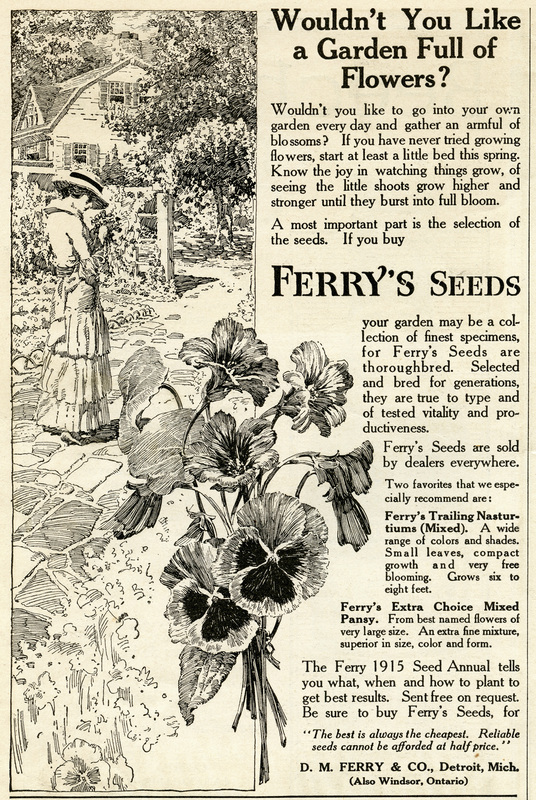 The ad is from the March 1915 issue of the Woman’s Home Companion magazine. Oh wow this image is perfect for a project I’m working on!! So very pretty and detailed. Thank you very much. I can use this. It’s great to know that this will be useful for you both, Hat and Peggy!